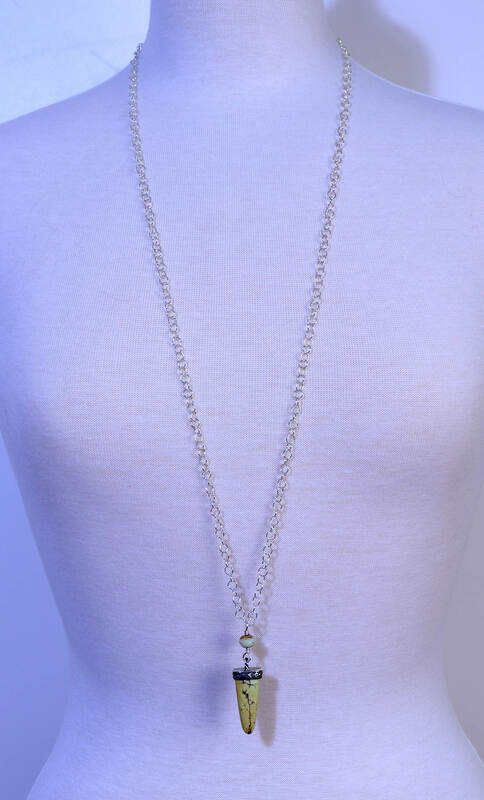 Length: 35" (89 cm) can be hooked anywhere on chain to shorten or I will shorten it for you. 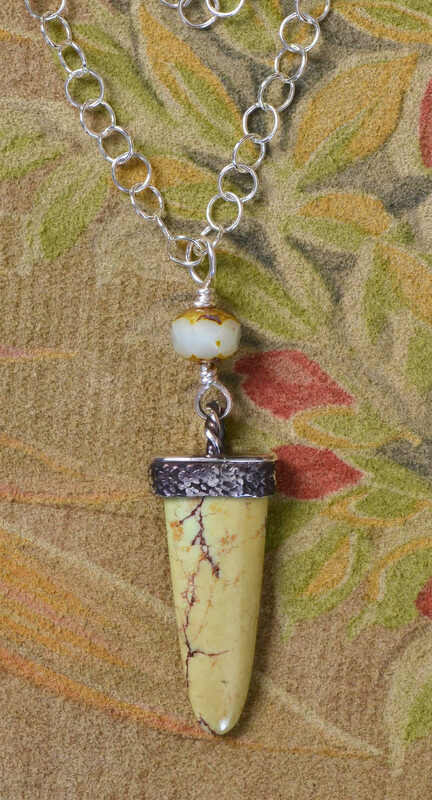 Here is a petite necklace featuring a small Variscite cut by the famous Lew Wackler. His accomplishments are legendary and include restoring antique rose engines, knife making, lapidary, fantasy cut gemstones, a 10-year stint as head workmaster for an operation making Fabergé-style objects for exclusive clients, educator, ... the list goes on. Lew's students have won over 100 AGTA Spectrum and Cutting Edge Awards™. Variscite is a hydrated aluminium phosphate, sometimes mistaken for green turquoise. This one has a delicate tracery of what appear to be stems and flowers. Variscite is said to foster inner peace. 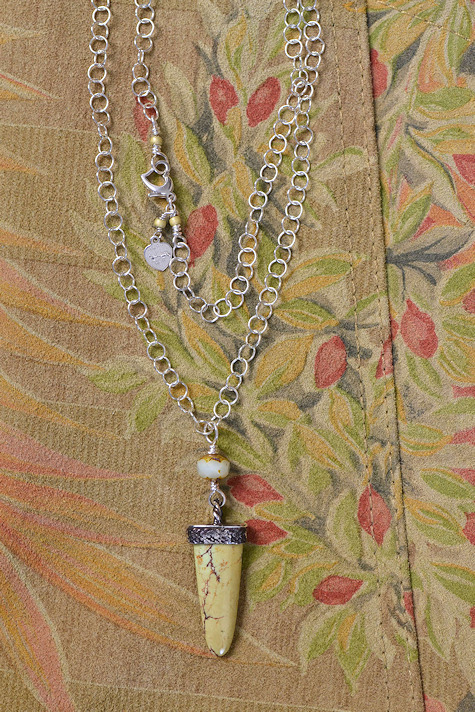 This long necklace slides on a delicate sterling chain. It's an easy piece to wear with a tee shirt, pretty blouse or sweater. I hope you will order it today.